Almost a year to the day since he first walked into Kym Johnson‘s studio, her former Dancing with the Stars partner Robert Herjavec commemorated the occasion with a very special surprise – a proposal! 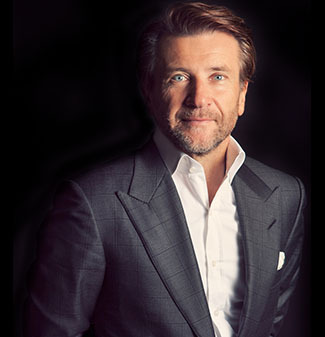 Shark Tank‘s billionaire businessman Herjavec, 53, decorated with rose petals and placed the ring box in a bag atop an inflatable swan in the pool. When dance pro Johnson, 39, pulled in the swan, she opened the box and saw the 6.5 carat emerald cut ring. Following the proposal, Herjavec and Johnson, who began dating last spring, headed to his Los Angeles home friends and family gathered to celebrate. Now, onto the wedding planning. Both Johnson and Herjavec says they will wed this year, and Herjavec in particular is looking forward to a certain coveted gift from the DWTS producers.